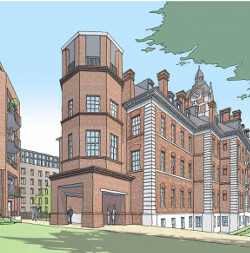 Mayor John Biggs and his Cabinet agreed on 3 November 2015 to dispose of several council-owned buildings to finance a new Civic Centre at the old London Hospital, to replace the present Town Hall, which has to be vacated by 2020. 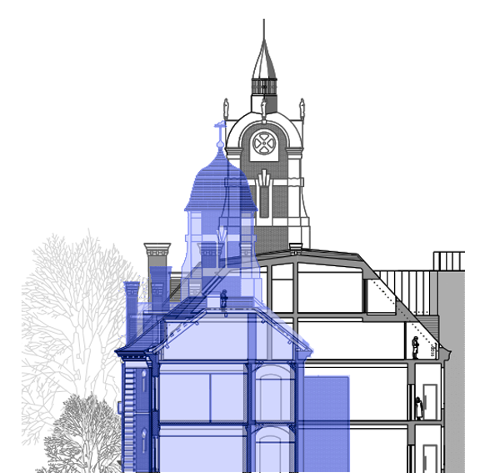 Both are good, well-built historic buildings capable of being adapted for residential use. PLEASE READ THE NOTE ABOUT EACH BUILDING COMPLETE AND SEND THE RELEVANT STANDARD LETTER TO THE MAYOR AND TWO COUNCILLORS ASAP. Please also send copies to Cllr. Denise Jones and Cllr. 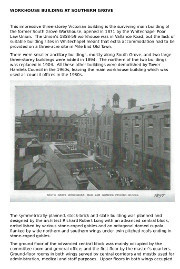 Andrew Cregan and [email protected] – preferably by the local plan consultation date 8 February 2016 (see below about the new local plan) – so that each building can be considered for addition to the Local List, in advance of the local list review to be carried out under the new local plan. 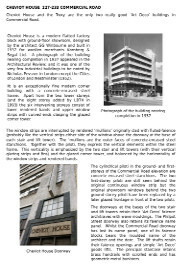 To help save Cheviot House and the workhouse building and other threatened buildings, please (if you haven’t already done so) read NEW LOCAL PLAN FOR TOWER HAMLETS in the January 2016 Newsletter and send answers to two questions (using prepared answers to question 2) by consultation deadline of 8 February 2016, to get improved built heritage protection started as soon as possible. 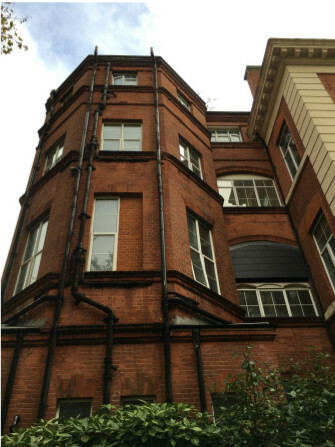 I/We request that the building is added to LBTH’s Local List, together with the other representative buildings in the East End ladies’ tailoring quarter and the East London Central Synagogue in Nelson Street, and all included in a new conservation area. Swan Wharf is at the eastern end of Dace Road next to Old Ford Locks. The wharf, with its three existing buildings, was included in the very small Fish Island Conservation Area designated by Tower Hamlets Council in 2008. As you know, this conservation area was extended and renamed by the London Legacy Development Corporation; and now includes the River Lea and Old Ford Locks next to Swan Wharf, making it the most attractive part of the extended conservation area. The East End Waterway Group was therefore looking forward to a conservation-led approach to the regeneration of Swan Wharf. 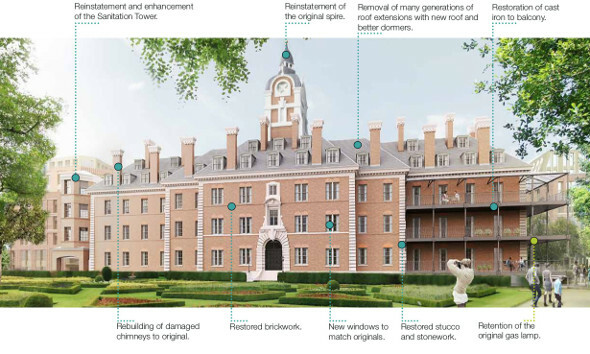 To help achieve this, a letter of objection to the planning application for Swan Wharf has been written and sent to the LLDC, on behalf of EEWG. The deadline for comments is 31 August 2014, but we understand that letters and petitions will be received by LLDC until 12 September 2014. The Lower Lea Valley was the largest waterside industrial area in London when London was the world’s largest industrial city and greatest port in the world. Surviving in Fish Island and Hackney Wick is the valley’s largest group of port and port-related industrial buildings, dating from the late 19th and early 20th century. 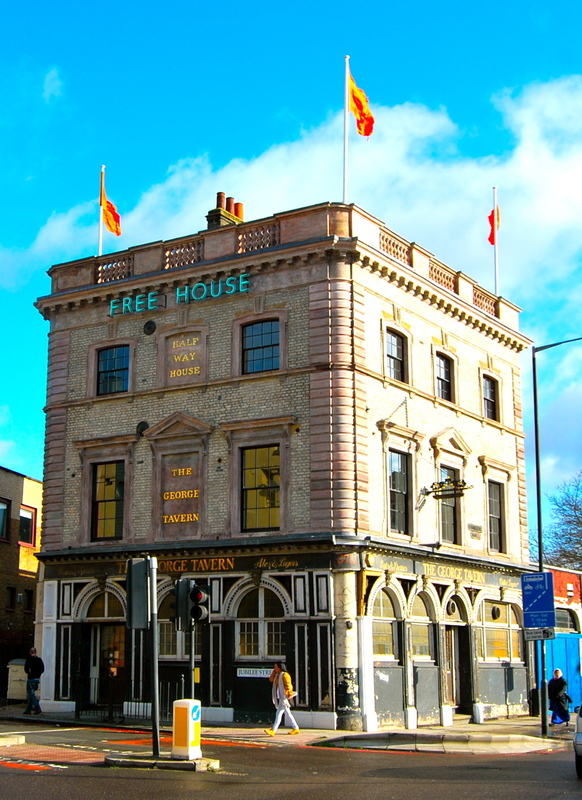 The London Legacy Development Corporation is to be congratulated on its proposals to extend two existing small conservation areas so that all the historic industrial buildings in Fish Island and Hackney Wick are protected, together with their associated waterways. Under the proposals, the Fish Island Conservation Area (designated by LB Tower Hamlets in 2008) is to be extended northwards along the Hackney Cut and the eastern part of the Hertford Union Canal to the southside of London Overground. The Hackney Wick Conservation Area (designated by LB Hackney in 2009) is to be extended along the northside of the London Overground to the eastern side of the Hackney Cut. 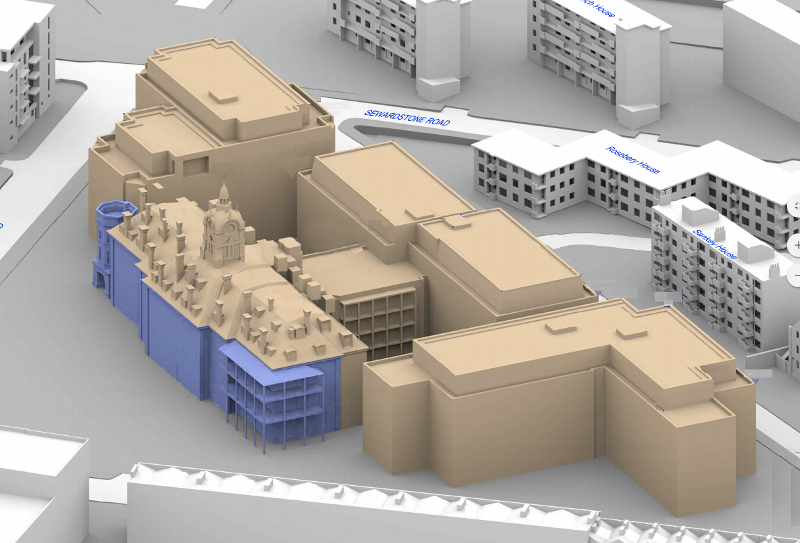 An LLDC letter about the proposals and consultation includes a map showing the proposed conservation area extensions, and contact details (see letter here). East End Waterway Group fully supports both proposals and asks all readers of this newsletter to study the planning guide on the Legacy Corporation’s website (see relevant section here) and respond in support of both proposed conservation area extensions, by 8 January 2014. The Legacy Coporation Board has to approve the proposals (by the Planning Policy and Decisions Team) before it can designate the extended conservation areas, so your individual support is needed to ensure the “protection and beneficial use” of this vital part of the East End’s unique six-mile waterway ‘ring’. You may also like to suggest that the Fish Island Conservation Area is also extended at its south-east corner to include the wooded (non-public) site of the Old Ford pumping station with its attractive 1902-03 boundary wall and adjacent section of the Northern Outfall Sewer (Greenway). This would have the added benefit of fully protecting this section of the River Lea and both sides of the sewer bridge. Local residents, schools, community groups, amenity societies and businesses working with British Waterways, Tower Hamlets Council and others for the protection and beneficial use of the six mile waterway ‘ring’, its historic buildings, structures and habitats.